As your trusted local chiropractor in Springfield, OR, we are proud to provide the highest quality of care to patients of all ages. Our chiropractic care team has many years of combined experience treating a wide variety of musculoskeletal conditions with holistic, natural and non-invasive techniques. Designed to help your body heal naturally without the use of prescription medications, chiropractic care treatment is ideal for those living with chronic pain, neck and back pain, degenerative diseases and much more! 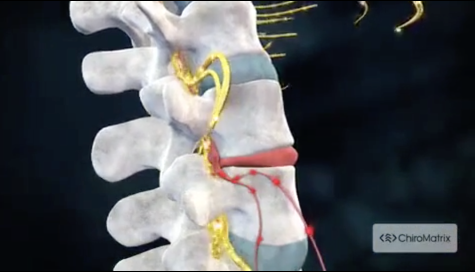 Your spine is made up of an intricate network of bones, muscles, ligaments, tendons and nerves. This amazing structure is designed to provide strength and flexibility as you move about your day. But the vertebrae in your spine are also highly susceptible to injury. Through the use of targeted chiropractic adjustments, our chiropractor can quickly work to correct misalignments, relieving pain, reducing inflammation and promoting faster healing. Massage therapy is often used to not only help patients feel relaxed but to increase the effects of regular chiropractic adjustments. Massage can be used to soothe sore muscles, further reduce inflammation and increase your natural range of motion. Massage therapy techniques can also be easily tailored to fit your specific needs to maximize the benefits of regular sessions. We often recommend corrective exercises to help strengthen and stretch the muscles that support the spine. Simple and easy enough that you can complete them at home or in the office corrective exercises are also tailored to fit your individual needs and are ideal for correcting many common musculoskeletal conditions, including poor posture. What you put into your body each day has a great impact on your overall health. By promoting a healthy lifestyle that begins with your diet, we can help to improve the effects of many of our holistic treatments while teaching you to be careful with what you eat and drink. Want to learn more about the full range of services offered at Centennial Chiropractic Clinic? If you are living with neck and back pain, sciatica, fibromyalgia, headaches and migraines or other chronic pain, our experienced chiropractor can help! Call (541) 726-6521 or contact us online today to schedule an initial consultation. Sign up using the form below or call 541-726-6521 to make an appointment. "Dr. Muzzana is the best! He's very informative on his treatments and also flexible with scheduling whether you are a new or established patient. He helped me through my auto accident in 2007 and guided me through what I needed to do to get back on my feet." "I would recommend coming to Centennial Chiropractic Clinic because they are nice and get you in with very little to no wait." "My experience at Centennial Chiropractic Clinic with Dr. Muzzana was 100% positive. He addressed all the issues that were causing me pain. After the treatments I no longer have knee, neck, and lower back pain. I would highly recommend Dr. Muzzana"